Catch up on the latest UFC videos now available on DVD or get a blast from the past with DVD's that date back to the first fight ever, UFC 1: The Beginning . UFC Videos put you in the driver's seat so you can watch what you want, when you want. With UFC Videos you are just a click away from UFC Fights, bios of your favorite fighter and even state of the art instructional DVDs. 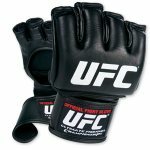 We bring you a huge assortment of UFC Videos at rock bottom prices, including collection sets and limited editions. When looking for UFC Videos, you need look no further. We have what you need right here! 2011 was an action packed year for the UFC. With UFC: Best of 2011 DVD you will feel the heat when you relive the moments. The drama unfolds as UFC greats put on their best knockouts and submissions. Experience the joy of victory and the agony of defeat with your favorite UFC superstars like Junior dos Santos, Frankie Edgar and Anderson Silva, Tito Ortiz, Wanderlei Silva and Minotauro Nogueira who out-performed themselves this year. See Jon Jones rise as a Light Heavyweight superstar and Dan Henderson and Shogun Rua in a classic bout you will want to watch over and over. 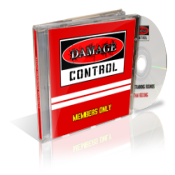 Just released in March of 2012, this new is hot off the shelves and is a must have for all MMA enthusiasts. 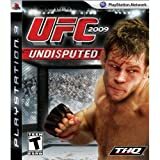 If you are wanting to narrow down your search and focus on specifics, we have some excellent choices for you like UFC: Ultimate Ultimate Knockouts and UFC Ultimate Submissions. Skip on over and get right down to the Heavy with UFC Ultimate Heavyweights with 30 full-length fights that will keep you on the edge of your seat. Nothing gets you upclose and personal with your favorite fighter quite like knowing his life story. With UFC Biography DVDs, you get a rare glimpse into the lives of MMA fighters as you follow their stories from early beginnings to stardom. 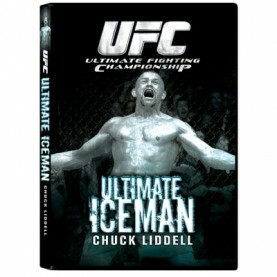 This UFC Ultimate Iceman Chuck Liddell is one of our all time favorite biographical DVDs. Top it off with a the UFC videos: UFC Chuck Liddell Fight Set for a look at the legend in action. Another one of our top picks is UFC Ultimate Royce Gracie. A member of the MMA Dynasty Gracie family, Royce is responsible for helping make MMA the popular sport it is today. Get all the behind the scene scoops as you follow this renown MMA pioneer in action. The video includes a nearly six-hour lesson in UFC history. 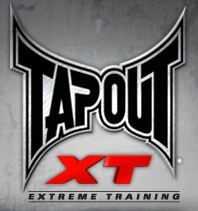 If you just can't get enough of your favorite fight, you'll love watching UFC Videos, over and over. In UFC 100: Making History you'll relive the action as Lesnar and Mir settle the score. Whatever your favorite fight, check out our store for great deals and if you don't find what you are looking for, you'll find a huge selection at the UFC Store. The Ultimate Fight Clinic will help you get your MMA game on. In this 3 pack set, you'll learn tricks of the trade from the best of the best as they share great tips that will help you on your way to the top. Check out fun UFC games too like the new UFC Undisputed 3. You wont believe how real this game seems as you go toe-to-toe with your opponent! Find all your favorite UFC Videos and games of all varieties at the UFC Store.